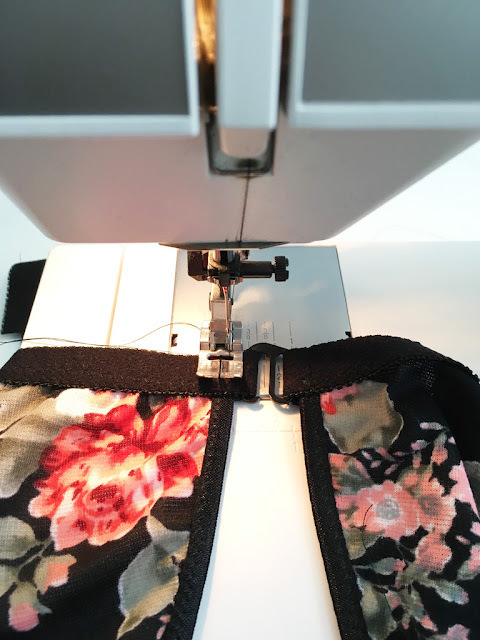 I had a customer email me a month or so ago asking for advice on how to add a front closure to one of my bras. She had some mobility issues and wasn't able to easily get in and out of a back closing bra herself. Last week I came down with a cold (my second cold of the month, unfair!) and my whole body was aching. Strangely enough, my right hand really ached and I could barely do anything with it! I really felt for this customer who had to deal with aching hands on a daily basis. I like this method because it uses a simple G-hook, but you can also use this method with a front clip. 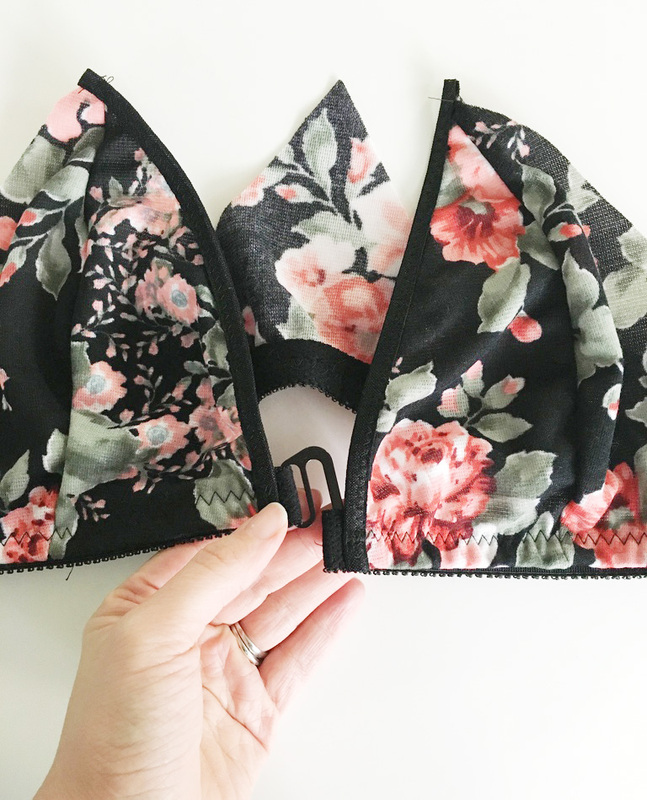 I sometimes also like to add a metal ring to the center front of my pull on bras, which uses basically the same steps. 1. 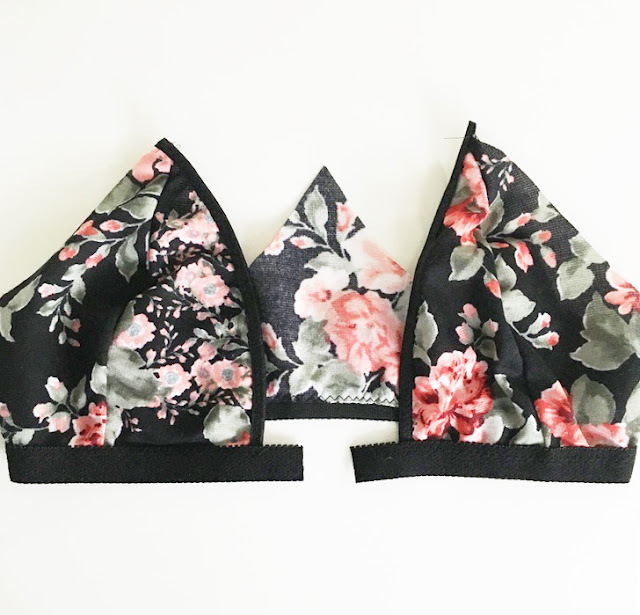 Any triangle front bra pattern, like my Josephine, Scarlett (which I have used here), or Brigitte Pattern. 2. Supplies as outlined in the pattern. 1. Following the pattern instructions, assemble cups and apply elastic around front edge. 2. Beginning at the center front and leaving a 1" tail, apply the band elastic along the lower edge of the bra. Leave a 1" tail and the end. 3. Feed one end of the elastic "tail" through the closed end of the G-Hook. Turn elastic towards garment and stitch in place. 4. 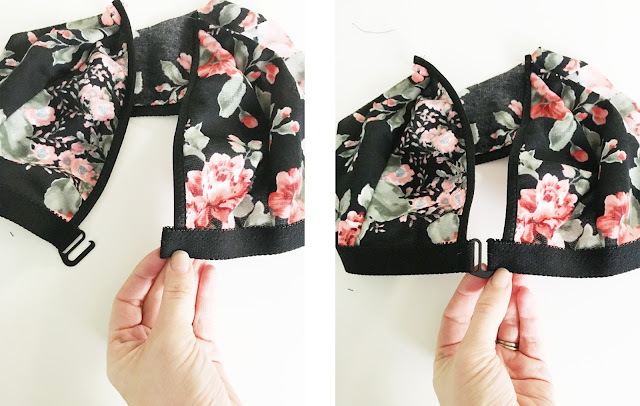 Wrap the tail on the other side of the bra around the open end of the hook and stitch in place. This creates a small loop to catch the hook into. Your hook should be upside down at this stage! It will get flipped around soon. 5. 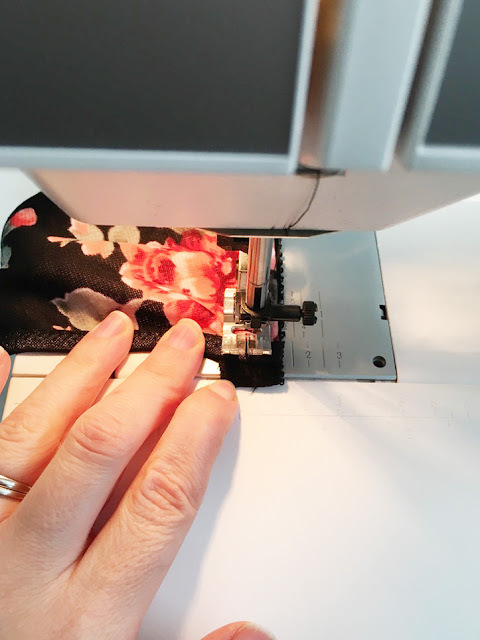 Turn the band elastic under and topstitch in place with a wide zig-zag stitch. 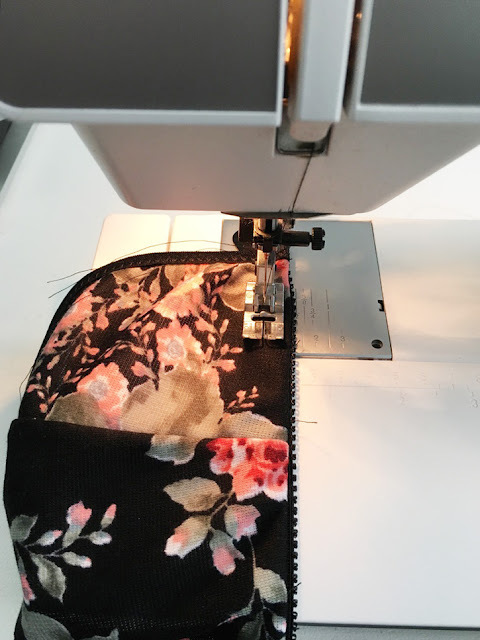 Make sure to securely backtack at the beginning and end of your stitching line. 6. 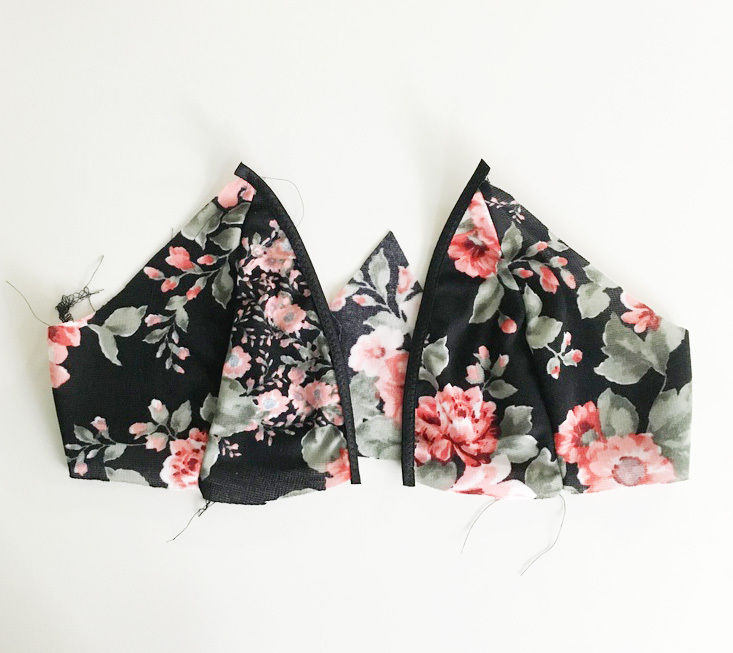 Finish the garment following the instructions in your pattern. That's it! now you have a neatly applied front hook closure! Enjoy! I love bras with a front closure. Thank you so much for this!